My pride is so pervasive. 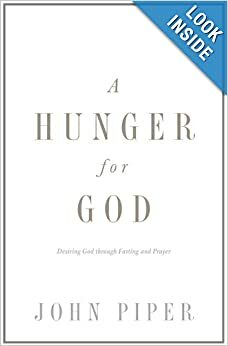 I’ve fasted and prayed off and on over the years, but I have never understood the biblical teaching on fasting the way I do after reading this book. Someone recently asked me, “what’s the point? be miserable for a day? why?” I was able to give a clear, helpful answer, because I had been reading this book. The basic reality is that we want to cultivate a hunger for God, by saying no to other appetites and redirecting our desires directly onto him. Chapter 1, Is Fasting Christian?, blew my mind! Have you ever thought about the difference between Old-Covenant-fasting and New-Covenant-fasting? Do you realize how the presence of the future kingdom is reflected in our fasting? Have you ever seen the fundamental shift, as new wine is poured into new wineskins instead of old, in fasting? I had never thought this through, though I’ve thought through the related issues. This chapter alone caused me to set the book down for a week, and dig deeply into the Bible itself to grasp these truths directly from the Word. This chapter is worth the price of the book. But it actually gets better, more intense, more seriously joyful, more ravenous for God. Chapter 4, Fasting and the Lord’s Coming, was another very high point in this book. I do not cry out “Come Lord Jesus” as I would if I really desired Him as I ought. O, help me God to want you more! These are the hungers that will be stirred in your heart as a result of reading this book. I highly, highly recommend it, for revival, for the little ones being slaughtered every day, for the billions of unreached-unengaged-unevangelized people in the world, for your deepest serious hungry joy, for His glory. I love reading about the figures of the 18th century Great Awakening. 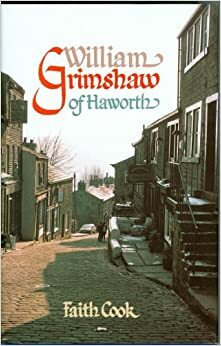 The best known, of course, are George Whitefield and John Wesley, as well as Jonathan Edwards in America, but there were dozens of men who who were mightily used by God at the time, and William Grimshaw is one of them. Grimshaw went to Cambridge, and then entered the ministry as a Church of England minister, all without having been converted. A current of the awakening began to swirl around him, as a book came into his hands (Precious Remedies Against Satan’s Devices), and men who had believed the gospel began to cross his path. Before long, he himself was converted, and his parish, based in Haworth, began to feel the effects. Grimshaw was tireless in his efforts to bring the gospel to everyone in his parish. He would sometimes pull unusual stunts to get the attention of his congregants. One time, a group of young people were playing a game instead of attending church on the Sabbath. Grimshaw disguised himself, and hid amongst them, until finally one of them noticed him, and they all fled in fear. Grimshaw later gathered the whole group in church, rebuked and admonished them, and then preached Christ to them, to great affect. Grimshaw was a preacher, and cared passionately for the souls to be saved. His was an example of An Earnest Ministry, and under the influence of the Wesleys, he also circuited miles and miles around his own parish, preaching the gospel, gathering groups of believers together in to “societies” and then traveling back to them to help their spiritual growth. John and Charles Wesley preached often in his church, as did Whitefield. John Newton was his friend, and visiting him, and later writing a biography of him. Henry Venn, and the Countess of Huntingdon were also his friends and fellow-laborers. His life is an example of a man who wore himself out spreading the gospel to everyone he could. Faith Cook is an excellent biographer (see also Selina: Countess of Huntingdon), and she gives Grimshaw the treatment he deserves. I highly recommend this biography, as well as any others you can find from the Great Awakening. J.C. Ryle’s Christian Leaders of the 18th Century is the place to start, and then branch out to Whitefield, Wesley, Huntingdon, Daniel Rowland, and Jonathan Edwards in America. Oh that we might see an awakening like this today! No one stirs my soul and fills the mind with sweet thoughts and affections for Christ like Jonathan Edwards. He especially loved to wander in the woods contemplating God’s goodness communicated through His creation. 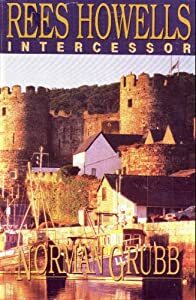 Marsden is trying his best to be a dispassionate historian, but it is the nature of his subject that, what Marsden takes care to minimize in himself, shines through all the more brightly in Edwards. My soul is thrilled, reading an academic biography! Today, as I read, the sun was shining brightly, filled with beauteous light in a clear day. I had to set the book down and glory in the beauty and wonder of Christ. “avidity”: extreme eagerness or enthusiasm. “sinecure”: a position requiring little or no work but giving the holder status or financial benefit. “reify”: make (something abstract) more concrete or real. “effluent”: liquid waste or sewage discharged into a river or the sea. “riposte”: a quick clever reply to an insult or criticism. This is a thick book: 400 pages, every one densely packed with names and philosophies of education covering the last 200 years in American education. This book appears on several reading lists (for example in Doug Wilson’s Recovering the Lost Tools of Learning), as a devastating critique of the philosophy of the American education system. He then jumps into the American history of the philosophy of education, and doesn’t come up for air until the end of the book. 21 of the 28 chapters are each devoted to a particular figure in this history, starting with Horace Mann, and including men like William Harris, Francis Parker, Wiliam James, G. Stanley Hall, and John Dewey. This history of American education has been shaped by men and women who believed in the innate goodness of man, and his ability to reach utopia through education. 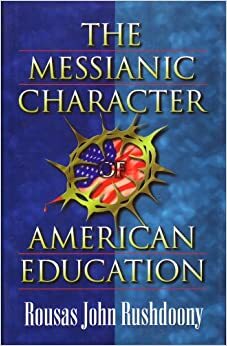 They themselves use religious, messianic, salvation language when describing the process of education, specifically apart from the God of the Bible. When you see how these men were the professors of teacher’s colleges, and held positions in federal and state Education departments, you see how we have reached our present condition. Dozens of names, dates, places, and quotes, combined with the difficult style of Rushdoony’s writing, makes this a laborious read. Nevertheless, if you want to understand the history of the philosophy of American education, this is the book to tackle, if you must! This book came recommended from a source that I trust, as a book that would really help a persons prayer life. I got this book expecting to really like it and to be helped by it. Unfortunately, the opposite was true. Howells turns out to be one of the worst examples of what the Keswick movement had to offer. Early in Howell’s life, he starts hearing voices. On the way to a Keswick convention, “a voice spoke to him…” and the voices just keep coming, on almost every single page of the book. This is a book about hearing voices in your head, and doing whatever they say. Almost every page contains “God told me” “the Sprit said to me” etc. And what are these voices in his head telling him? This is not just affirming what is taught in the Bible, but specific extra-biblical things like fasting a specific day (p. 55) and when he gave in to eating a little food, the voice said “I will forgive you, but you are not to go unpunished. You will hold up your hands while you pray from 6 to 9 o’clock” (56). Not following “the voice” is equated with disobeying God, i.e. sin! This is reiterated several other times in the book. The voice tells him not to wear a hat (109) otherwise he wouldn’t “gain the place of intercession.” The voice told him to seclude himself from all other believers (113) and not cut his hair or his beard, again in order to “gain a much higher position.” After six months, the voice told him that “he was free” (119). Howells equates the voice that he hears with “God’s word” (139) a phrase usually reserved for the Scriptures, but not for Howells. The voice told him to abandon his son so that he and his wife could go to the mission field. (145) They left him with his uncle, and the voice told him that “for everything you give up for me, there is the hundredfold; and on this you can claim 10,000 souls in Africa,’ and we believed it” (147). The voice told him not to let his wife take medicine when she was sick (151). The voice told him to leave a ministry in which they were deeply intwined in love. It was “a great wrench on both sides. The Council did not want to let them go, and they would not have left the Mission and the co-workers they had learned to love…” – unless the voice told them to – “…for anything less than a direct command from God.” (175) The voice is equated with a commandment from God! Equating the voice in your head with the voice/command of God results in twisted teaching on faith (believing what the voice says), obedience (doing what the voice says) and prayer. Most of the time this isn’t tied to the Scriptures at all, and when the Bible is used, it is ripped out of context, and misapplied terribly. My criticism of all this? It is completely unbiblical, and presents a twisted view of spirituality and prayer, in which you have to attain to higher and higher levels of spirituality in order to intercede effectively. It appeals to human nature to have effort that results in higher positions and rewards. Kind of like trying to become a black belt. Put forth the effort and training, work hard, pass the test, and you get the next color. Prayer is NOT THIS WAY!! Prayer is a child crying out to his Father. Prayer is a child coming boldly to the throne of grace to find help in her time of need. Prayer takes work, yes, but not this jumbled mess of mysticism, voices, and bizarre tests of obedience. Not only do I not recommend this book, I would warn any young believer to avoid this teaching. If you want to learn about prayer and have your prayer life to be stirred, read anything by E.M. Bounds. The Essentials of Prayer is excellent. Power Through Prayer is a classic. E. M. Bounds on Prayer (Hendrickson Christian Classics) is three of his books in one that I highly recommend. For an example of the good that can be found in the Keswick movement, see Hudson Taylor’s Spiritual Secret, and for an excellent evaluation of Keswick theology in passing, and Taylor in particular, see John Piper’s biographical message from this years pastor’s conference.